Today, the spotlight is on Renewal Church of Chicago. 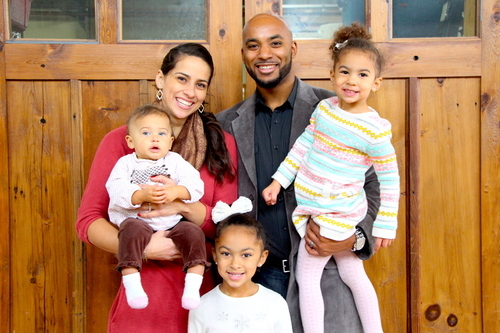 Renewal Church, an Orchard Group plant, began as a dream in the hearts of Derrick and Kaley Puckett. 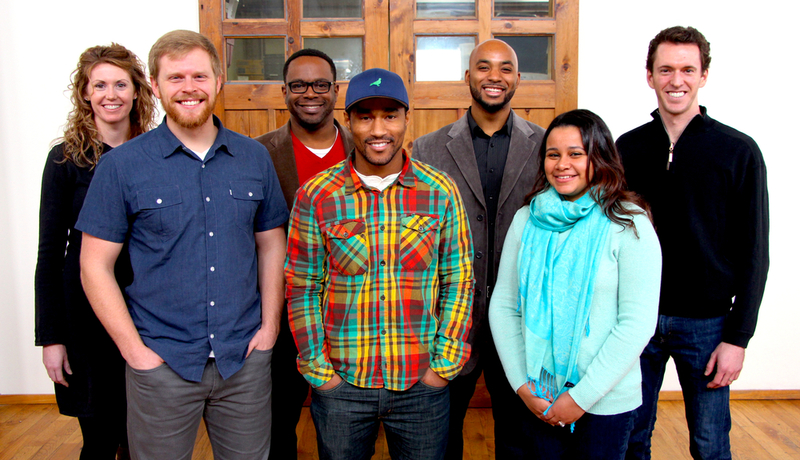 If you would like to give/donate in support of this intentional multi-ethnic church plant, you can do so HERE. Thanks go out to Derrick, Renewal’s lead pastor, who is serving as today’s guest blogger. Born and raised just near Chicago, I grew up witnessing first hand how one of the greatest cities in the world can remain a broken place without the gospel bringing people together. Derrick and Kaley Puckett & their daughters, Ramiyah, Elyana and Isabelle. People in our city come together for our city’s fantastic sports events, her celebratory traditions, and world renown festivals and shows. Yet we struggle to unite over the biggest problems facing Chicago—crumbling families, rampant violence, racial disharmony and socioeconomic divisions within our neighborhoods. The world, and specifically in our context Chicago, needs a movement of churches convinced that the gospel can renew lives through the gospel, rebuild them through life-on-life discipleship, and release them to win this city for the glory and honor of God. Renewal is answering the call to join this movement of fellow churches to see this dream come true. Our vision is to be a church centered on the gospel while passionately seeking the welfare of our city. This vision rests upon the 3 initiatives: Renew, Rebuild, and Release. Derrick preaches during the Sunday worship service. So far, God has been working greatly through our 9-month old church. We have seen our members take hold of our vision. At Renewal we believe in building the church on a strong foundation. One of those foundations is community. People that live in Chicago’s fast paced environment yearn for community and fellowship with other people, but don’t necessarily have it. We believe that through healthy community and relationships God can do something amazing here in Chicago. Graciously, the Lord has been allowing that to happen. Currently our men’s ministry has been meeting every Tuesday morning at 5:30 a.m. to build with one-another. Specifically focusing on what it practically looks like to be godly men who lead their families, at their jobs, and in their communities. At the same time our women meet together each month to grow closer to one another and grow as honorable wives and woman of the Lord in whichever place they currently are in their life. In addition to Sunday worship services, we host monthly gatherings to bring the entire church body together, and the gatherings also provide a place for people that will not step foot in a church to come out and fellowship. The Renewal Church Leadership Team, which includes those who are serving as part of the Residency program. message, but also in how we equip others. With this, the pastors at this Renewal have been burdened with the desire to train future leaders in ministry. Therefore, Renewal has launched a Residency Program where the sole purpose is to intentionally train young leaders for a future in ministry. Renewal has experienced a wonderful 9-month existence. God is working through this church to impact the city of Chicago. We believe that God will continue to grow His church for His glory and for His fame. We are excited and humbled that we get to participate in this adventurous journey! 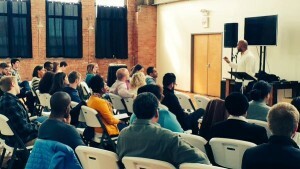 Renewal Church – a gospel-centered community, alive in the heart of Chicago. Derrick grew up near Chicago in Gary, Indiana, spending chapters of his youth between the two neighboring cities. As a high school student, Derrick was introduced to Christ through a relationship with a young woman, Kaley, who would later become his wife. A graduate of Indiana University, Derrick has served with Campus Crusade Ministries, creating the Impact Movement to reach out to African-American students on campus. 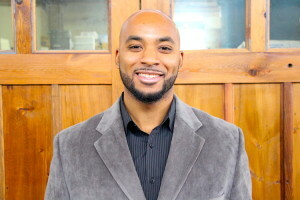 While earning his M.Div from MidAmerica Baptist Theological Seminary, Derrick also served in the Residency Program and as a Campus Pastor at Fellowship Memphis Church. It is at this multiethnic church where Derrick deepened his passion for seeing the Gospel’s power to reconcile people of all walks of life. Providentially, Derrick and Aaron Brockett, the pastor of Traders Point Christian Church in Indianapolis, became great friends. This relationship led to Derrick partnering with Orchard Group, a church planting ministry, and the rest, as they say, is history.